Many people had emailed me or asked me whether I had tried this or that kolomee in other places eversince I posted my review on Brunei's number 1 kolomee at Ocean Quarry. 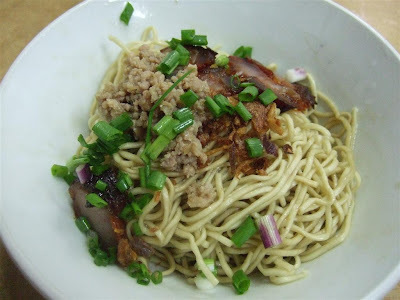 One interesting place that was mentioned was a restaurant in Menglait, Hing Nam Hong Restaurant, that has kolomee that can rival or better than Ocean quarry's kolomee. I decided to investigate. Finding the place was quite hard as we were not very familiar with Menglait's road. But to get in, simply look out for where DHL and Mexx Car Wash is. Turn in around that area at a simpang behind them, the restaurant is opposite a row of mechanic shops. Good luck finding that place! 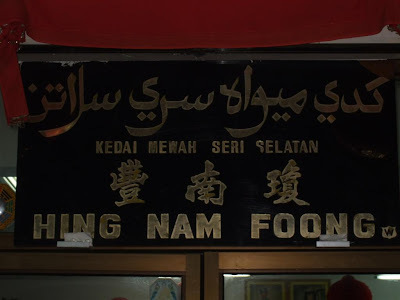 Finally found the place and this is a picture of their signboard. 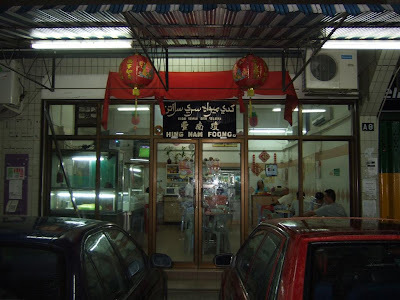 The old school kopitiam feel. Take note- it's not a halal store. One close up look at their kolomee and you can tell that it's going to have the QQ chewy texture. Taste review: The texture of the kolomee is great and fresh. Texture wise, I prefer this more than Ocean quarry's noodle. Flavourwise, it is very different from Ocean Quarry's kolomee. It is very good, but I can't say I prefer this, Ocean quarry wins in terms of flavour, but it is a matter of my personal taste. The accompaniments like charsiew and mince pork, I think the char siew definitely tastes better than Ocean Quarry's one. I made the big boo boo of not ordering their wonton, so I can't compare this yet, maybe for the next review. Overall: I still prefer Ocean Quarry Kolomee but this kolomee comes close as a good rival. Some might actually prefer this to Ocean Quarry's so give this place a try. Since I am here, I might as well try their other signature dishes. 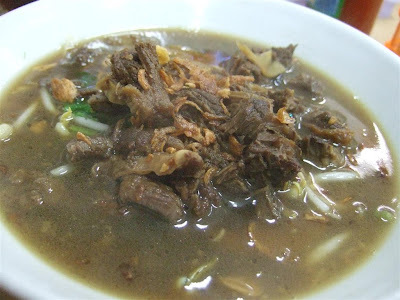 The soup is filled with lots of fresh taugeh(beansprouts) and topped with slices of beef brisket on top of the beef stock. Looks so good! 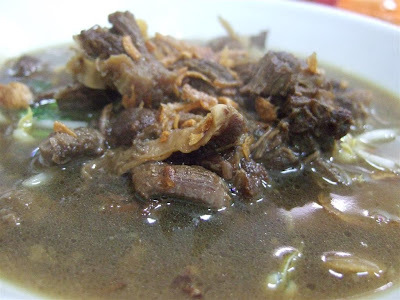 Taste wise, I liked the texture of the beef, quite tender and goes well with the crunchiness of the taugeh, and the beef flavour of the soup. A great dish to try as well. One of the reasons why food bloggers like me can't seem to lose weight is that we always try to order as many dish as possible to review. 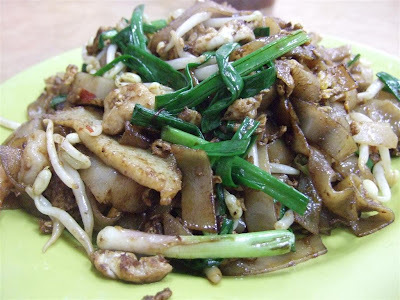 I decided to try their Penang Fried Kway Teow. 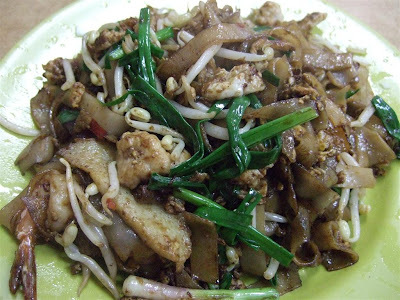 In my opinion, it is far from Penang Char Kway Teow. It does has the spicy flavour, but it is not near the caramelisation and "chau tarness" (hangus) of what I liked in Penang Kway Teows. This dish is not what I would order next time. Their Kway Chap is also one of their trademarks. 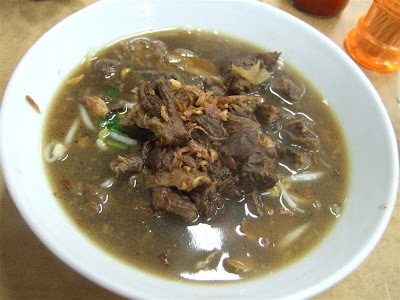 Flat Rice Noodles served with pork spare parts and in a dark coloured broth. If you like spare parts, you can even order them separately and have them sliced and eat with your kolomee. Their chili is pretty good and goes well with their kolomee. 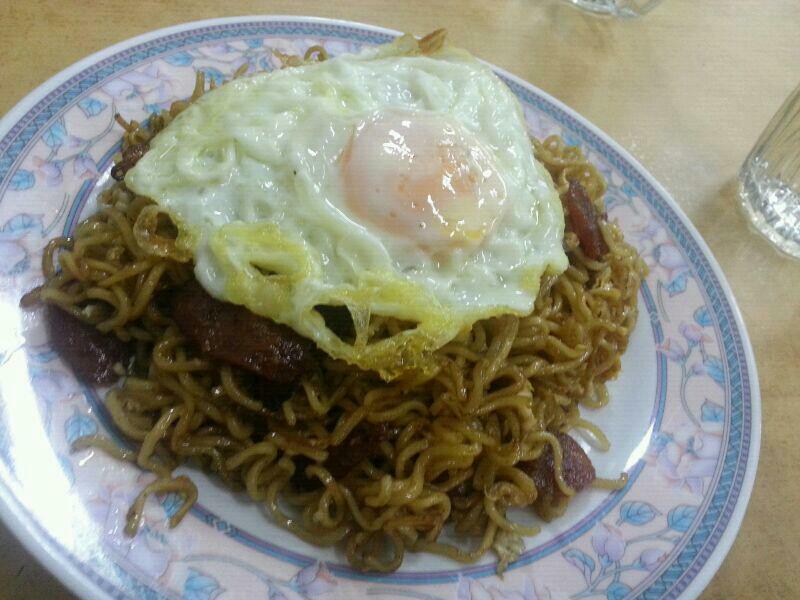 I must say - I am surprised by their Indomie Goreng. With lap cheong and one sunny side up egg - this is one of the best indomie I've tasted! A must try one! This place is open up to quite late - usually open till 1 or 2 am. A good place to have supper! 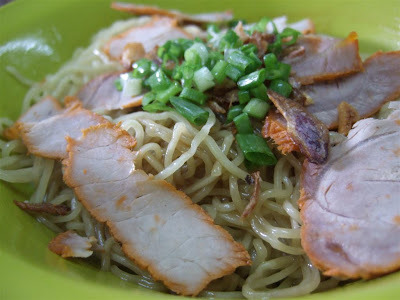 hi, I'm new to ur blog and I super love it...It's not easy for me to find a food blog that catches my interest! 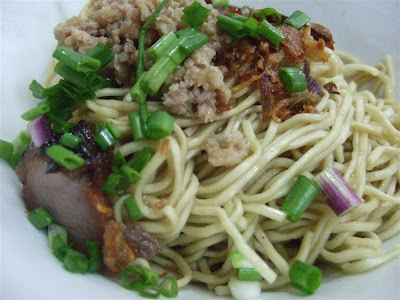 Anyhu, you shoudl give Myown Restaurant a try at their Kolo Mee. I really love it. Theirs are just simple and delicious! !